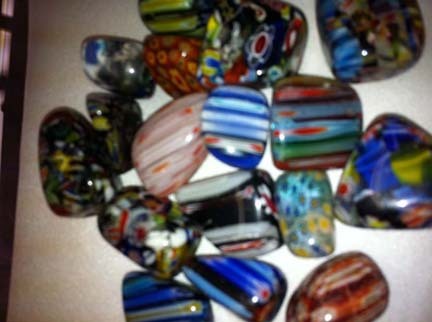 Our Brazilian Agate Nightlights and Brazilian Agate Windchimes are all hand-crafted. We select only the best agate slabs. 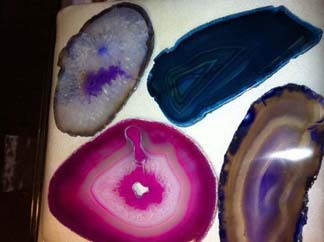 Each agate slab is unique in color, markings, shape and design.Our Nightlights and Windchimes are approx. 3-4 inches wide and 3-4 inches tall. They come in 5 colors-Pink-Purple-Blue-Teal-Natural. If you do not see the color you want. then we are probably SOLD OUT of that variety. Please goto our contact page and email us if you have any questions.